Detective Mercado of the Havana Police department is devastated when she learns that her father's been killed in a mysterious hit and run accident - in Fairview, an affluent little mountain town in Colorado, of all places. So she reluctantly does what any good daughter would: smuggles herself out of Cuba and goes to Fairview, where she's got seven days to find her father's killer, exact revenge, and return home before the Cuban authorities catch on. But in a town teeming with vacationing celebrities, Mexican indentured servants, drug dealers, and a sadistic local sheriff's minions, she'll have to comb through a long cast of suspects to find the man responsible for her father's death. 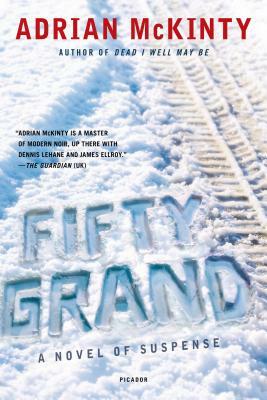 Adrian McKinty's "Fifty Grand "is an explosive tale of retribution. Adrian McKinty is the author of "Dead I Well May Be, The Dead Yard, "and "The Bloomsday Dead." He lives in Melbourne, Australia.